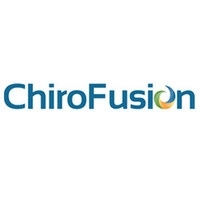 ChiroFusion’s newest product, CF Schedule enables practices to add online scheduling to their websites, blogs, and social media accounts, and allows patients to schedule appointments anytime, anywhere. Boca Raton, FL, January 17, 2019 --(PR.com)-- ChiroFusion, the leading provider of affordable, cloud-based EHR software for Chiropractors, announced today that it has launched CF Schedule - an online scheduling platform that is completely and seamlessly integrated within ChiroFusion. With this announcement, ChiroFusion becomes the first and only Chiropractic EHR vendor to offer an integrated online scheduling platform for patients and practices.